Editor's note: Kyra Durko is a Fall Associate at Two Sigma Ventures, where she focuses on helping source, evaluate, and support early-stage technology companies using data science and advanced engineering. This post was originally published on the Two Sigma Ventures' blog. At Two Sigma Ventures, we believe data-driven companies can create the most powerful solutions to our world’s biggest problems. We have been increasingly excited about the intersection of data science and healthcare / biology and have already made several investments in the space, including Recursion Pharmaceuticals (drug discovery using artificial intelligence and computer vision), Zymergen (data-driven microbe engineering), and Kallyope (computational biology and drug discovery focused on the gut). Precision medicine is one emerging area where we believe data-driven approaches will be particularly powerful. Precision medicine is a method of disease treatment and prevention that takes into account an individual’s genes, environment, and lifestyle. It groups patients into subpopulations based on these unique data points and designs treatment plans that will be most effective and safest for them. This sometimes translates into new therapeutics designed for certain genetic profiles, and other times it means simply adding or removing certain components of treatment. For example, one of the most recent scientific breakthroughs revealed that 70% of women with early stage breast cancer don’t need chemotherapy as part of their treatment plan. Over the past several years there has been an explosion of personal data collection from wearables, the Internet of Things, and genomic sequencing. While we are still attempting to analyze all of this data (and tie it back to patient records to generate real world evidence about patient outcomes), the rise of personal data collection devices coupled with cheaper and more powerful computing as well as the shift to electronic health records is unlocking new possibilities in precision medicine. These tools will enable providers to craft treatment plans that are best for individual patients and can also enable the shift to a value-based healthcare system. In a world where cases of chronic diseases are rising due to an aging population, these tailwinds will push precision medicine into practice and drastically improve healthcare over the next decade. At Two Sigma Ventures, we are actively thinking about where there are opportunities in the path to precision medicine. Genomics focused startups have generated a lot of hype in recent years and with good reason. In many ways, they surfaced one of the most medically valuable and intricate data sets of the century and have set the foundation for data-driven healthcare and drug discovery. 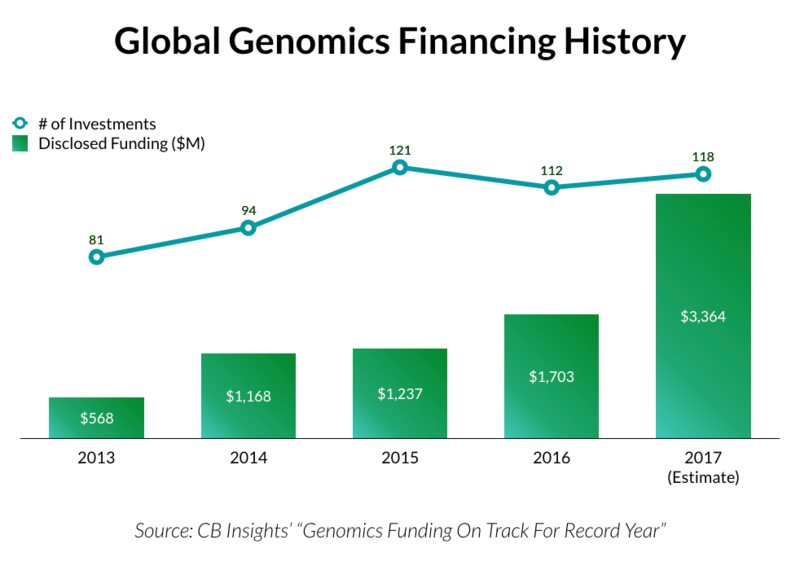 Investments in genomics have risen consistently, from roughly $550 million in 2013 to over $3 billion in 2017. However, we believe there is an opportunity to look beyond genomics to the other ‘omics’ datasets for more accurate and powerful healthcare solutions. In the specific case of oncology, best in class genomics based solutions can only help physicians identify proper therapeutics for some tumors. Some of these shortfalls are due to the maturity of genomic healthcare solutions, but a lot is due to a lack of data. The genome only scratches the surface of cellular activity. It simply tells us what the cell may do — but we need to know what the cell is actually doing (the cellular phenotype) to design the best therapeutics and treatments. The cellular phenotype is crucial to understanding disease progression and drug response. Two ‘omics’ datasets that give us this information are proteomics and metabolomics. Each of these data sets provides richer insights into cellular activity. Proteomics is the study of proteins in an organism. It reveals what proteins that genes coded for were actually produced, in what quantity and where in the body. Metabolomics takes proteomics a step further and looks at what tasks are being performed in the cell by proteins and other metabolites such as sugars, amino acids, and lipids. It can be thought of as a snapshot of the chemistry in the cell that takes into account substances put into your body such as food and drugs. We are excited to see more companies that are beginning to incorporate proteomics and metabolomics into precision medicine. Below are three of these areas we’re particularly excited about. (1) Drug discovery platforms. We believe drug discovery platforms that are generating powerful and proprietary databases incorporating proteomic and metabolomic data will have an edge in identifying and optimizing drugs. 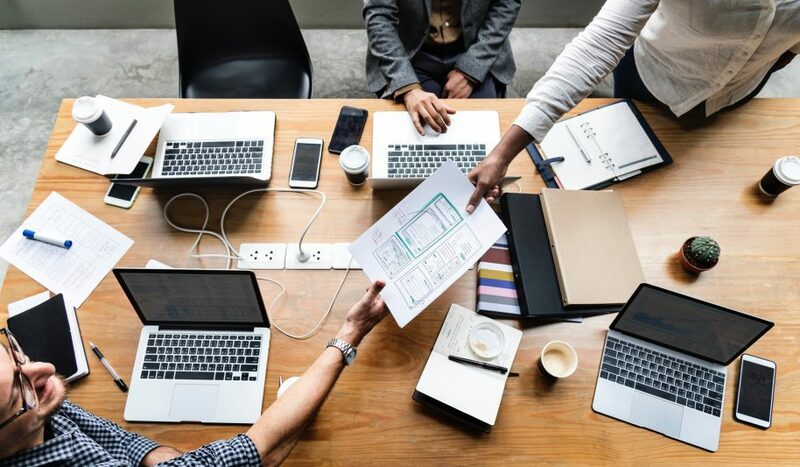 The complexity of this data creates an opportunity to leverage data science and machine learning that remain core to Two Sigma Ventures’ thesis. (2) Point diagnostic solutions. There has been a ton of innovation focused on using genomics for diagnostics, but we believe there is an opportunity to create more accurate and defensible diagnostics products that incorporate metabolomics and proteomics. While it may never be possible to sequence every protein and metabolite in the body as we eventually did for the genome, it is advantageous to look at specific categories of proteins to augment genetic data for specific disease diagnostic tools. When this is done in combination with data science and machine learning it can be particularly powerful. (3) Data analysis and infrastructure. Like in any industry, we need the tools that will allow us to continue building interesting companies and products for decades to come. For proteomics and metabolomics this means cheap and quick data collection and powerful tools for analysis. For each gene in the body there are several proteins and many more metabolites, creating a complex data problem. Tools to conduct this analysis will be valuable for both healthcare startups and large pharma companies alike. The era of precision medicine is upon us and there are clear opportunities for data science to have meaningful impact on challenges in this evolution. The Two Sigma Ventures team is excited to learn more about the next generation of data-driven healthcare startups that will incorporate new, powerful types of data to solve meaningful problems for people and the healthcare industry. Make sure to reach out if you’re working on a problem in this space. The views expressed herein are solely the views of the author(s) and are not necessarily the views of Two Sigma Ventures, LP or any of its affiliates. They are not intended to provide, and should not be relied upon for, investment advice.